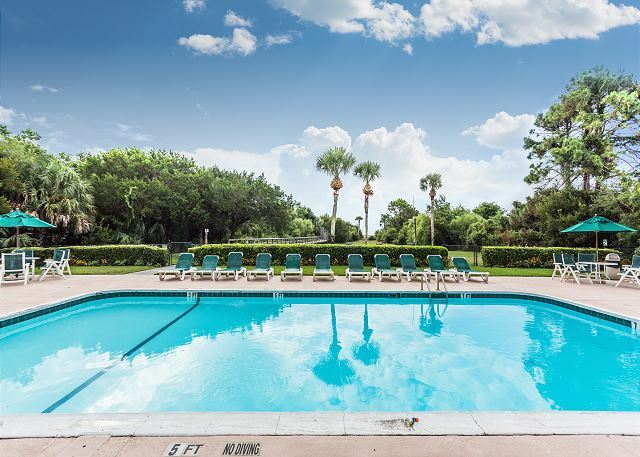 Amenities include secured gated entry, pool, covered parking, grass lawn, community grill and private boardwalk to the beach. Each condo has two bedrooms and 2 full bathrooms, an open dining/ living room, kitchen and balcony. Shipwatch 201 offers ocean views. THE ISLAND - Home Away from Home. Once again a wonderful time on the Island. We don't own a condo at Shipwatch, but we feel right at home when at Shipwatch 201. 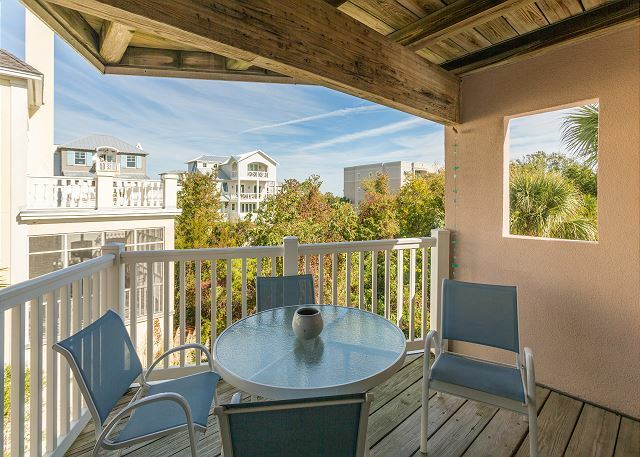 Easy access to beach, shops and restaurants. Our family booked for next year and counting the days to return. I have no problems- It was good. Unfortunately, we did not see as much of the beach. Chappie, my husband got very sick and was in bed a few days with a high fever. He said he wants a rewind. He is still not well but at least he could see out the windows. Love the unit. Love the facilities. 2 issues. Dog area was not mowed and therefore was buggy and snakey - saw two. The shower head in the master was dripping and needed a new cartridge. It caused mildew and mold. Plummer confirmed issue on Monday and I never heard from him. With guests this was an issue. We enjoyed our time at the Shipwatch condo very much. We lucked into getting an rental on the end that overlooked the pool and the beach, and we also enjoyed the breeze blowing in from that direction. The condo had everything we needed for an enjoyable stay, including the washer/dryer and a kitchen stocked with every utensil we needed. We expect to be back in the future. Once again a wonderful stay at St. Simons Shipwatch Realscapes property. The only concern I have; the pool at Shipwatch is looking aged. The coping, tile at water level and some tables need upgraded or cleaned and painted. I still enjoyed spending a day at the beach and jumping into the pool to cap off a wonderful day. Looking forward to returning next year. weather was great and good to see old friends and make new ones. The condo could be updated in some area's such as furniture in l.r. and the ocean view is getting smaller and smaller. With that said I will be back for next year. Really enjoyed this unit at Shipwatch. 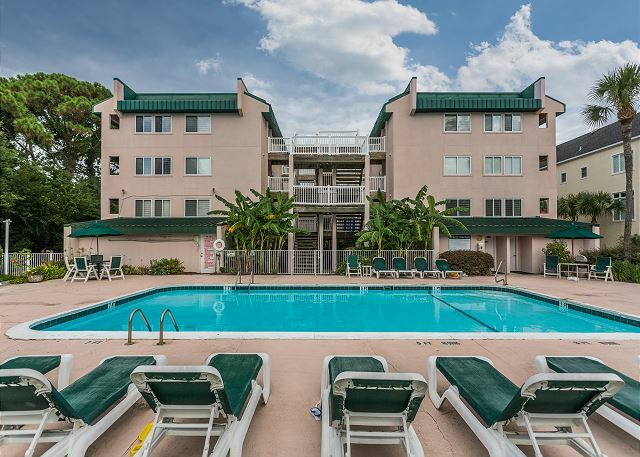 Very clean and up to date; comfortable beds; great apiances and a beautiful view!! One significant suggestion--it would be helpful to have at least a few hangers in the closet. We had to buy hangers just to hang up a few clothes. Once again Great Escapes hits it out of the park with their service, hospitality, and organization! Always enjoy our stay at Shipwatch. All was grand, as always! We have been going Shipwatch for the last 10 years. We enjoy the facility, the privacy, and the wonderful beach. We think the owner of 307 is who we are referring to, but their dog was put on the patio and constantly barked a strange loud, loud bark all during the day and night. Never stopped but maybe for 30 minutes sometimes. Very annoying especially when you have paid that amount of money and you have to deal with that. Our whole group which is about 25 couples were very upset with the barking. We were all upset about this. When we sat by the pool at night to talk, the dog never shut up. Don't mind animals but have never had to deal with a dog barking continuously. Also our dishwasher to our room was not attached to the counter and it was quite unsecure. asked and called 3 or 4 times to have dvr set up, never called back. the unit is sm. but ok but is not sound proof very annoying when people are above and below. when all is quiet it is a nice and friendly place to be.